In a future where science fiction is reality, Dr. Boynton creates a super-robot in his deceased son's image. Named Astro Boy, the robot can swim oceans, leap over mountains and even fly into space - but he can't replace the doctor's son. Abandoned and disowned, soon Astro Boy is befriended by Dr. Packadermus J. Elefun of the Institute of Science, and together, they embark upon an amazing adventure. With super strength, rocket-powered flight, a selfless heart and a kind demeanor, Astro Boy fights a never-ending crusade against the forces of evil! 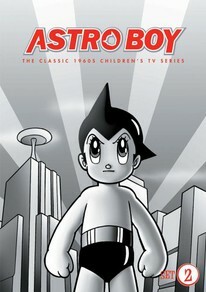 Contains episodes 26-52 of the original Astro Boy series!